This is our first meeting in Junson company, Amy and Jeremy are very professional. we will start to develop our new production in coming soon. Very glad for your special supporting on access control system, the productions are in good quality. very nice to see you guys in expro. 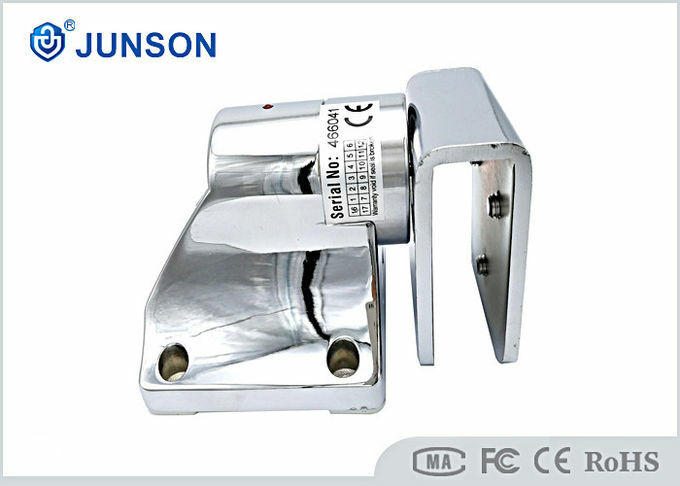 Junson's experienced R&D department, provides new product designs by manipulating science and research functions to better serve our clients and promote our products. We can design most of new production as per client's requirement. 1 . Colinear load test 60kg, 120pounds. 2 . Dual voltage 12 or 24 vdc(optional). 3 . The standad voltage is 12vdc when finished. 4 . 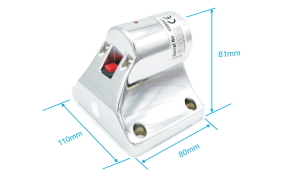 Mov provides reverse current protection. 5 . 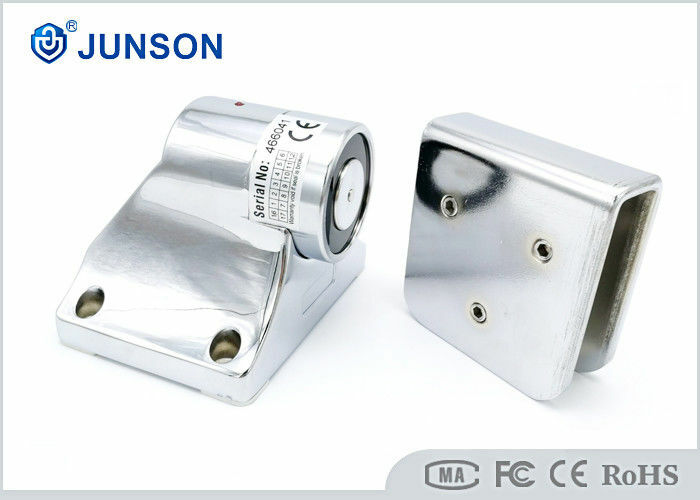 Low power, environmental protection. 6 . Anti-residual magnetism design. 7 . Professional design, dual insulative housing. The price is negotiable. It can be changed according to your quantity or package. When you are making an inquiry, please let us know the quantity you want. Q. 2: About the sample what is the cost of transportation? The freight depends on weight, packing size and your country or province region, etc. You can confirm lock by photo and video to save this money. Q. 3: How long can I expect to get the sample? 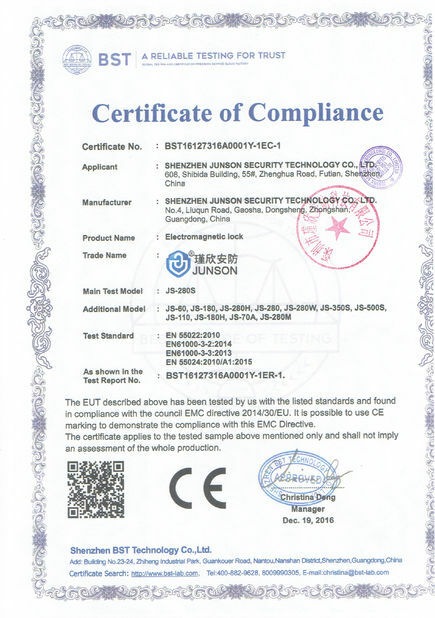 Warranty Service will be honored if the damage is not caused by human, JUNSON Provides 3 years warranty for relative products. On the contrary, JUNSON will charge extra if repair. More information, please browse our service center. Action with Alarm: Connected with alarm system, auto release door once getting alarm signal input. 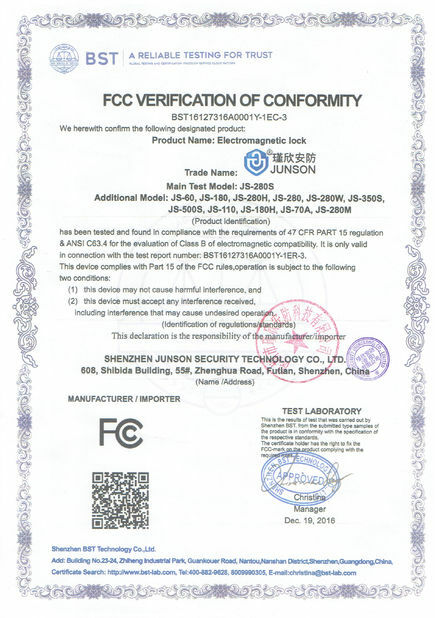 China Good Quality Electromagnetic Lock Supplier. Copyright © 2016 - 2019 szjunson.com. All Rights Reserved.